Acting Office of Personnel Management Director Beth Cobert gave only a perfunctory response at her confirmation hearing Thursday when asked about an issue that a senator has been raising for years. Two days prior to Cobert’s appearance before the Senate Homeland Security and Governmental Affairs Committee, Sen. David Vitter, R-La., wrote to Cobert demanding copies of correspondence between OPM and some in Congress involving the personnel office’s October 2013 rule providing a “ special health care exemption given to members of Congress and congressional staff.” To justify the exemption OPM labeled Congress as a small business under the Affordable Care Act. For more than two years, Vitter has complained that the small business label “shouldn’t have passed the common sense” test. Vitter’s earlier efforts to ferret out documents from OPM and the District of Columbia health exchange staff were blocked by colleagues on his Small Business and Entrepreneurship Committee. Cobert’s response was that this dispute occurred “multiple years before I was here,” and that the matter was examined by the Small Business and Entrepreneurship Committee. She did promise to “get back to you” and take the issue seriously. A Vitter spokesman told Government Executive that whether Vitter tries to block Cobert’s nomination “all depends on the responses.” Because Vittter is not on the Homeland Security Committee, he can’t take legislative action until the nomination comes to the floor, the spokesman acknowledged. But Vitter’s inquiries and research have unearthed partial evidence of internal discussions about how to categorize congressional staff, who number 1,600 in total, as a small business of 45 employees. OPM, when asked for comment on Friday, referenced the reasoning in the October 2013 final rule. The spokesman also noted that Sen. Chuck Grassley, R-Iowa, who authored the original amendment during the 2010 debate on what became Obamacare requiring Hill staff to enter the health exchanges (but to receive an employer contribution) told a Roll Call reporter in 2013 that “the OPM rule was in line with the original intent of the amendment.” (Grassley’s office on Friday declined comment.) 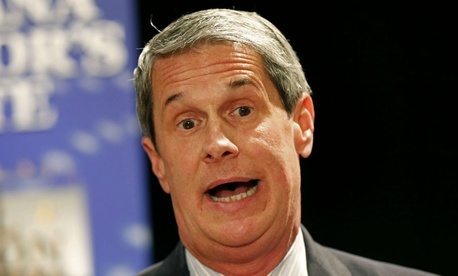 OPM did not respond on whether it plans to turn more documents over to Vitter. Vitter said, “the OPM director needs to explain the unnecessarily secretive process that protects members of Congress from the burden they imposed on American citizens. Congress should be required to live under the same health care laws they imposed for the rest of the country,” he said. The Homeland Security panel may vote on the Cobert nomination at a Feb. 10 markup.